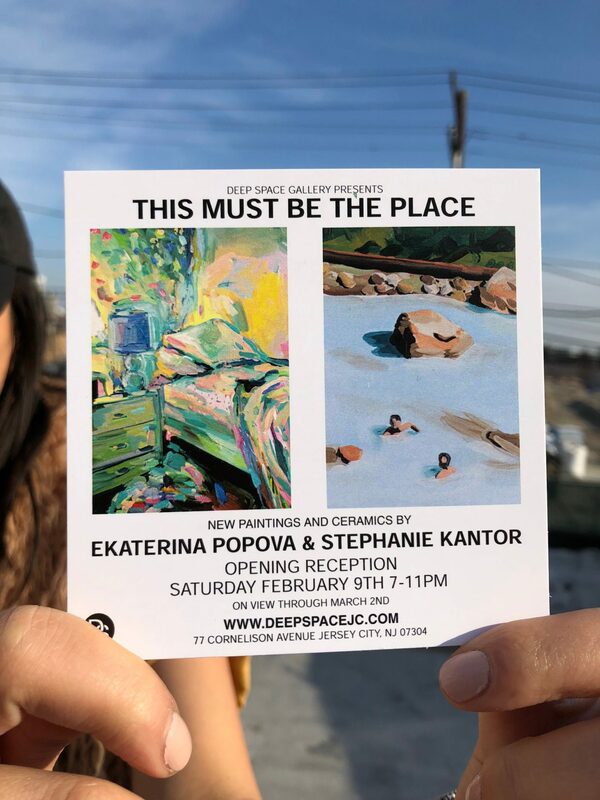 Please join us this Saturday night, February 9th, from 7-11pm for the Opening Reception of THIS MUST BE THE PLACE, featuring new works by Philadelphia-based artists Ekaterina Popova and Stephanie Kantor. This Must Be the Place showcases two bodies of work that celebrate the tranquil sanctuary of treasured and personal spaces. Each collection invites the viewer into places we long to be — Stephanie Kantor’s paintings and ceramics transport us into a watery world of recovered treasures. With an exquisite palette and luscious brushstrokes, Ekaterina Popova’s works draw us into the sacred world of interior spaces. 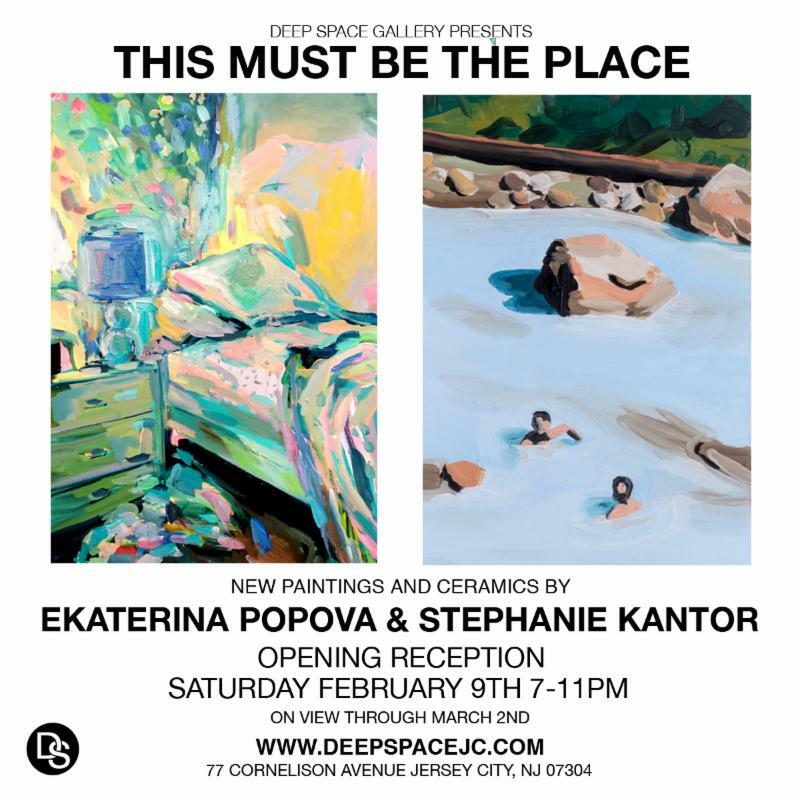 Stephanie Kantor is a visual artist whose practice focuses on ideas of culture, tradition, and artifice. She creates whimsical installations that include ceramic sculpture, furniture, papier-mâché, painting, and textiles. Kantor received her MFA from University of Colorado Boulder (2015) and BFA from Penn State University (2009). Kantor was a Black Cube Nomadic Museum Fellow in 2016 and has completed prestigious residencies at Belger Crane Yard Studios, RedLine Contemporary Arts Center, and Bunker Projects. She has exhibited nationally at Paragraph Gallery (MO), Nerman Museum of Contemporary Art (KS), Sala Diaz (TX), Bunker Projects (PA), Gildar Gallery (CO), and Calico Gallery (NY). Kantor currently lives in Philadelphia and is the Zeldin Fellow at The Clay Studio.